2.42in Square Shear Box - Gilson Co.
HMA-734SA 2.42in (61.5mm) Shear Box has a square design and is used when testing soil specimens for direct and residual shear strength with Karol-Warner Dead-Weight Direct or Pneumatic Direct/Residual Shear Machines. 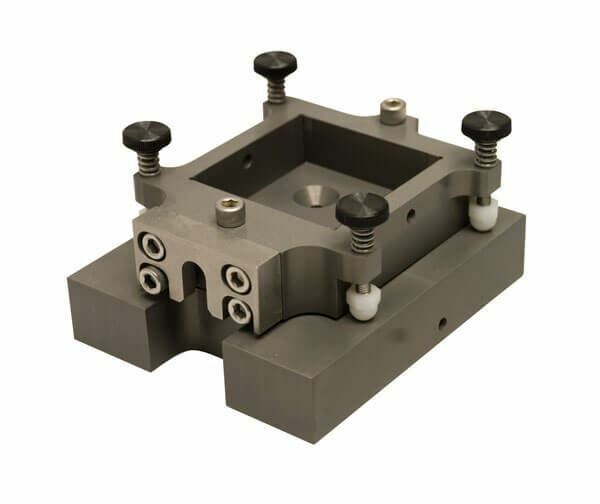 The Shear Box is divided horizontally to allow opposing shear forces to be applied to soil specimen. The Shear Box is made of anodized aluminum with a Teflon finish that resists corrosion, and comes with a top and bottom Porous Stone, and Loading Ball.